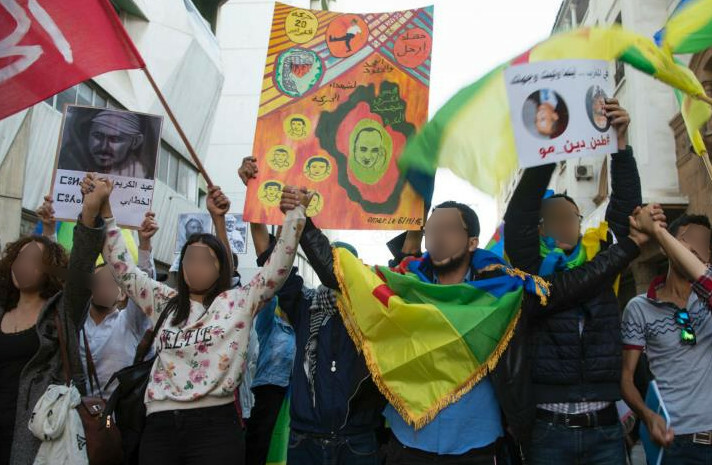 Mass Protests as Rif leader Nasser Zefzafi sentenced to 20 years A court sentenced Nasser Zefzafi and other activists who were involved in organising demonstrations in Al Hoceima. The leader of a protest movement that shook Morocco’s northern Rif region for months over social and economic issues has been sentenced for 20 years. A court in Casablanca on Tuesday sentenced 39-year-old Nasser Zefzafi, who was arrested in May last year and later transferred to a prison in the port city. 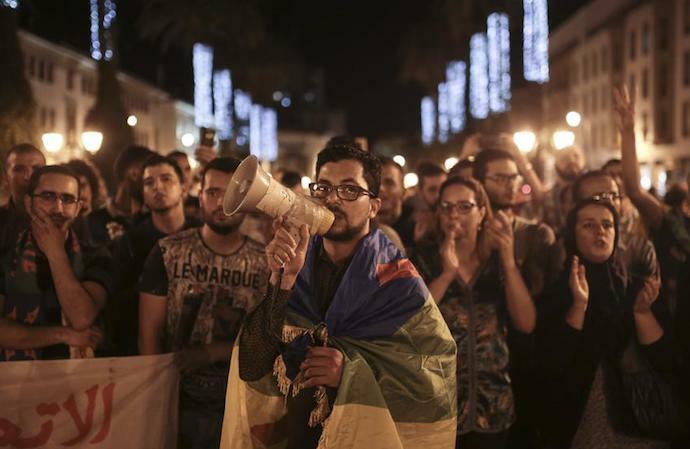 Zefzafi was involved in organising demonstrations in his hometown of Al Hoceima. The social unrest in the region followed the death of Mouhcine Fikri, a fishmonger crushed in a rubbish track as he protested against the seizure of swordfish caught out of season. 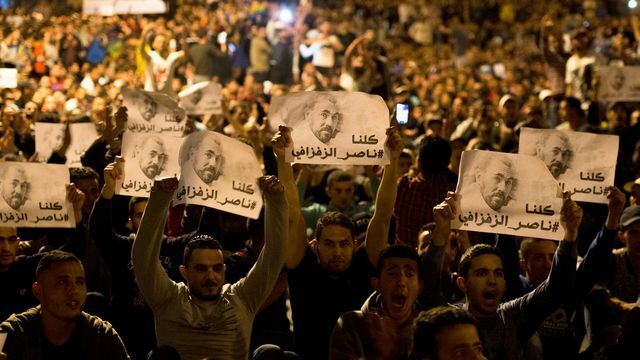 Calls for justice for Fikri, 31, evolved into a grassroots movement demanding jobs and economic development, with Zefzafi, himself unemployed, emerging as the leader of the Hirak el-Shaabi, or Popular Movement, based largely in Al Hoceima. Zefzafi was charged with undermining public order and threatening national unity. His arrest in 2017 was ordered after he allegedly interrupted a preacher at a mosque to call for further demonstrations. Prosecutors had said the arrest was ordered after he “obstructed, in the company of a group of individuals, freedom of worship” at the mosque in Al Hoceima. Since, smaller protests have become a daily occurrence in the town. As part of the same verdict, movement leaders Nabil Ahmijeq, Wassim El Boustani and Samir Aghid were also given 20 years in prison, while three others received a 15-year jail sentence. 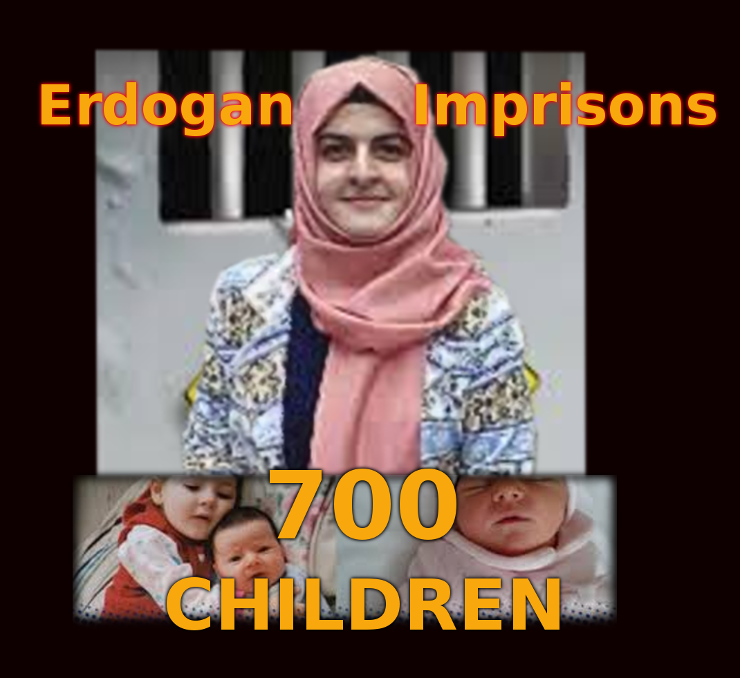 Meanwhile, seven activists were sentenced to five years in prison and six others were given a 10-year jail sentence. 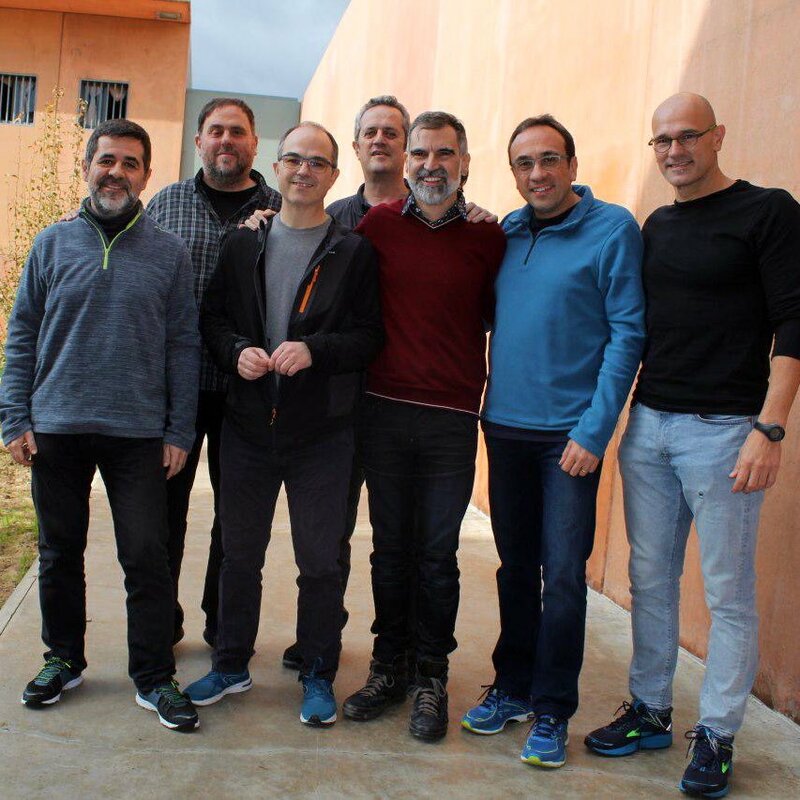 Seven activists were sentenced to three years in prison, while 12 defendants received a two-year prison sentence. 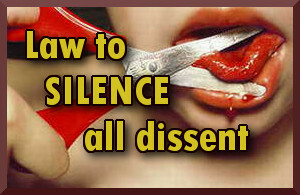 An activist was given a one-year suspended prison sentence. In total, 53 people were handed sentences on Tuesday following a nine-month trial. Speaking to Reuters News Agency by phone, the activists’ lawyer Bouchra Rouis said the sentences were “unfair”, adding that there will be an appeal against the ruling after a discussion with the defendants. The mainly ethnically Berber Rif region has long had a tense relationship with Morocco’s central authorities and was at the heart of Arab Spring-inspired protests in 2011. The main protests subsided following a series of political reforms, including constitutional changes that saw King Mohamed VI give up some of his wide-ranging powers. 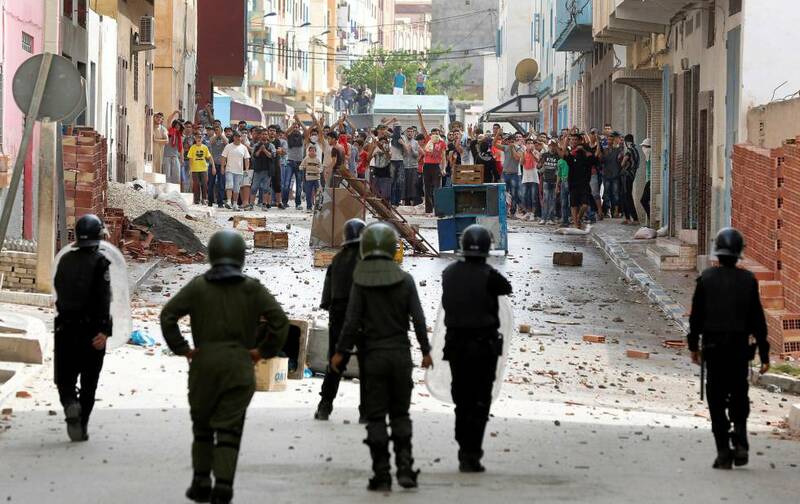 For months, there have been protests in Alhucemas and other Rif cities in northern Morocco against the unjust treatment that the Moroccan state has given the population for decades. The corruption of the Moroccan state, the lack of public infrastructures in the region, the attack on the Rif culture and language , the precarious conditions of life and the absence of freedom and autonomy to express themselves as a people. 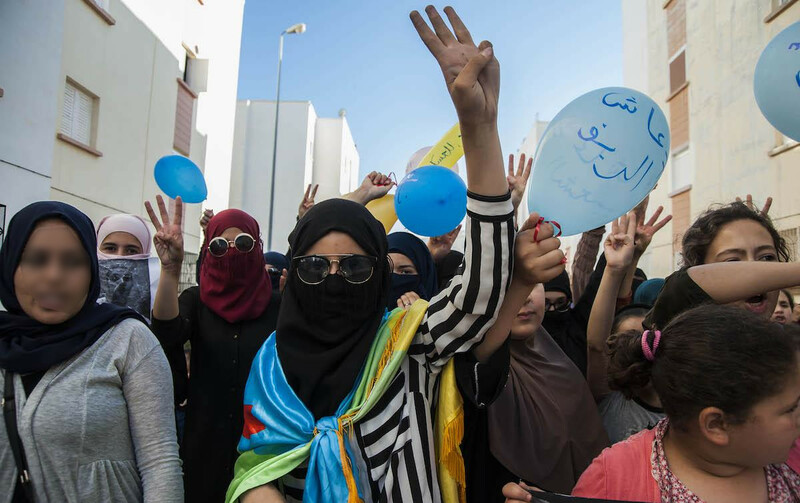 Protests have increased as a result of the arrest of dozens of activists of the Popular Movement of Alhucemas, which raises the social and political demands of the Rif people through the peaceful mobilizations that are developing, and where women are increasingly prominent. 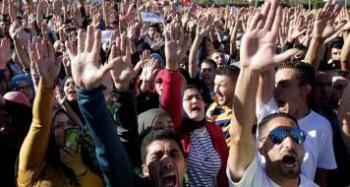 In recent days, mobilizations have spread outside the Rif, with massive demonstrations in Rabat, tens of thousands of people. To all this are joined the acts of solidarity that have taken place in various European cities, in support of the protests in the Rif. We know that, at present, there are at least 200 detainees, who have been transferred mostly to Rabat, although these figures are provisional, because their numbers are constantly increasing. Several prisoners, including Nasser Zafzafi, Mohamed Jelloul and Mohamed Mejjaoui, and several dams, such as Silya Ziani, and many others, have begun a hunger strike in protest of the arrests. These are totally arbitrary and are directed against peaceful activists and demonstrators, just because they are socially and politically annoying because of their just demands. Ill-treatment of detainees is the norm and there are numerous cases of torture. The Moroccan army has strengthened its presence in Alhucemas and treats the population as if it were in an occupied military zone. 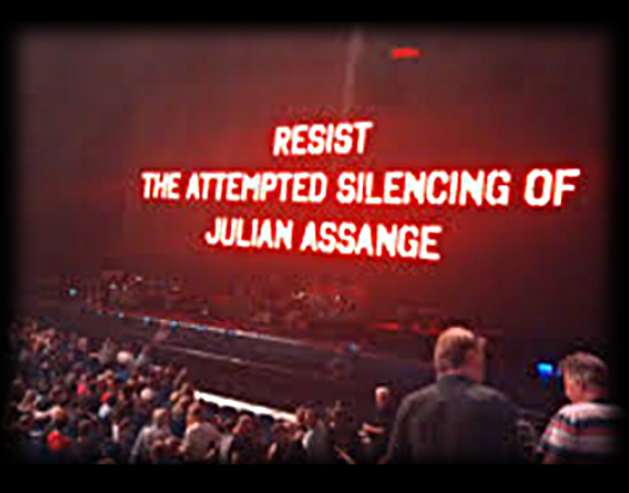 We must remember that, unfortunately, this situation is not unique. Just one night before the great demonstration in Rabat, the Moroccan police and army brutally repressed in El Aiun a call in support of Saharawi political prisoners and to claim the right of self-determination. The -majcen-, (the circle of oligarchs that surrounds the crown of Morocco) claim that the protests are organized from abroad. At the same time, the king receives Macrón. But in reality it is the majcen which encourages the protests with its injustice, the one that eats from the hand of the French imperialism, the one that receives military aid from the state of Israel to oppress the Saharawis or the one that is supported by the corrupting and oppressive monarchy, a friend of Trump and the Saudis. Likewise, the repression and lack of rights in the Rif are no obstacle to the Spanish government continuing to support the Moroccan regime, as have not been the decades of international breaches and non-compliance in the Sahara. In fact, the Spanish government has been one of the main allies of the Moroccan monarchy since the time of Hassan II. Not in vain, the north of Morocco has become a space of delocalisation of many Spanish companies, that have transferred to this zone their production, to take advantage of the low wages and the lack of union rights. 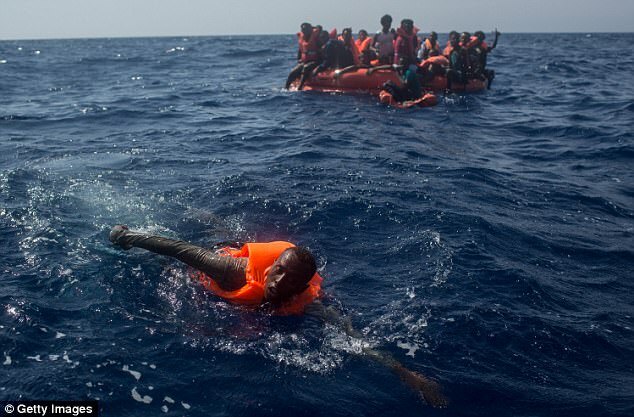 Similarly, the Moroccan government plays a key role in monitoring the southern European border and in the control of cross-strait immigration, as a gendarme serving the European Union, with constant abuses and violations of human rights. of its own population and migrants from other countries. 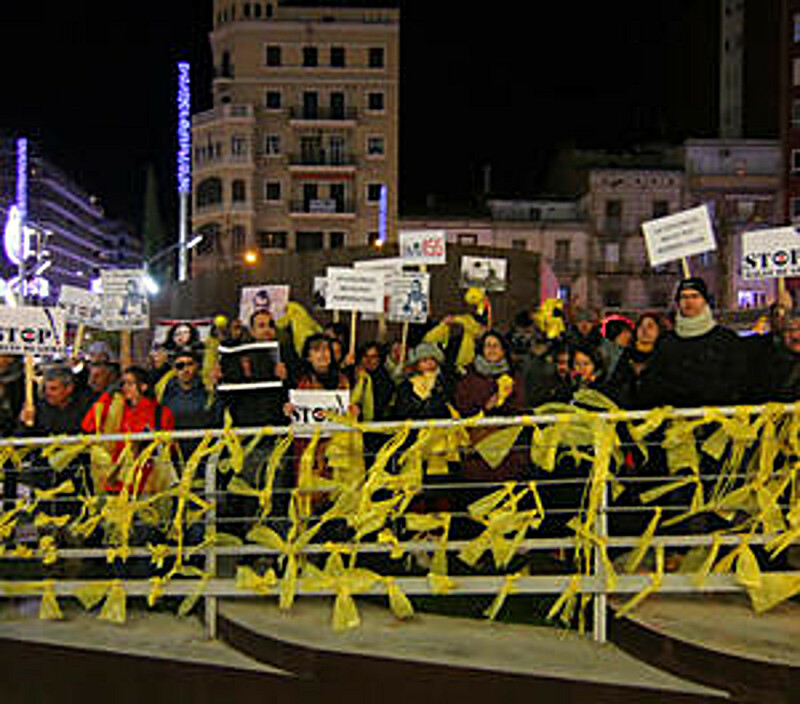 A government such as Spain, at the service of the elites who benefit from this situation, can only be complicit in the policies of the Moroccan government, in a general and shared context of freedom cuts and rights retreat. For this reason, solidarity and the joint struggle with the workers of North Africa and the Rif in particular are fundamental for the improvement of the conditions of life of the working class. One of the hallmarks of CNT is its internationalist commitment. At the beginning of the last century, CNT strongly opposed, among protests and strikes, the recruitment of workers and the war in the Rif. – Immediate release of detainees for political reasons. – Demilitarization of the Rif and free exercise of the rights of manifestation, assembly and freedom of expression. “We do not have any factory, we do not have an oncology hospital, despite having the highest cancer rate in all of Morocco, because of the use of chemical weapons made by Spain [A study in 2015 showed that almost 80% of adults and 50 % Of cancer-infants treated at the oncology hospital in Rabat came from the Rif area where Spanish aviation bombarded with mustard gas between 1924 and 1927]. -Construction and equipment of hospitals, universities and schools. Right to quality and free public health and education. – Social measures of distribution of the wealth that allow the end of the misery. Right to a decent home and life. – End of the corruption and mafia structure that governs the Maghreb. -Respect to the culture and language rifeña. -Liberty and trade union freedom. CNT has always been committed to building a world without borders, where people do not have to leave their land because of political persecution or lack of work and social rights, which belong to everyone. That is why we encourage everyone to give the maximum possible support to the companions of the RIF, supporting solidarity committees and attending all the demonstrations and rallies held for this cause. Desde hace meses se vienen produciendo protestas en Alhucemas y otras ciudades del Rif, en el norte de Marruecos, contra el trato injusto que, desde hace décadas, da el Estado marroquí a la población rifeña. A este motivo se unen la corrupción del estado marroquí, la falta de infraestructuras públicas en la región, el ataque a la cultura y la lengua rifeñas, las condiciones precarias de vida y la ausencia de libertad y autonomía para expresarse como pueblo. Las protestas se han acrecentado como consecuencia de la detención de decenas de activistas del Movimiento Popular de Alhucemas, que plantea las demandas sociales y políticas del pueblo rifeño a través de las movilizaciones pacíficas que se están desarrollando, y dónde las mujeres tienen cada vez más protagonismo, como impulsoras. En los últimos dias, las movilizaciones se han extendido fuera del Rif, con manifestaciones masivas en Rabat, de decenas de miles de personas. A todo esto se unen los actos de solidaridad que se han dado en diversas ciudades europeas, en apoyo a las protestas en el Rif. Sabemos que, a día de hoy, hay al menos 200 detenidos, que han sido trasladados en su mayor parte a Rabat, si bien estas cifras son provisionales, porque su número aumenta constantemente. Varios presos, como Nasser Zafzafi, Mohamed Jelloul y Mohamed Mejjaoui, y varias presas, como Silya Ziani, y muchas personas más, han iniciado una huelga de hambre en protesta por las detenciones. Estas son totalmente arbitrarias y se dirigen contra activistas y manifestantes pacíficos, solo porque son molestos social y políticamente a causa de sus justas reivindicaciones. Los malos tratos contra los detenidos son la norma y existen númerosos casos de tortura. El ejercito marroquí ha reforzado su presencia en Alhucemas y trata a la población como si estuviese en una zona militar ocupada. Debemos recordar que, desgraciadamente, esta situación no es única. Apenas una noche antes de la gran manifestación de Rabat, la policía y el ejercito marroquíes reprimían brutalmente en El Aiun una convocatoria en apoyo a los presos políticos saharauis y para reclamar del derecho de autodeterminación. Dice el majcén (el círculo de oligarcas que rodea la corona de Marruecos) que las protestas están organizadas desde el extranjero. 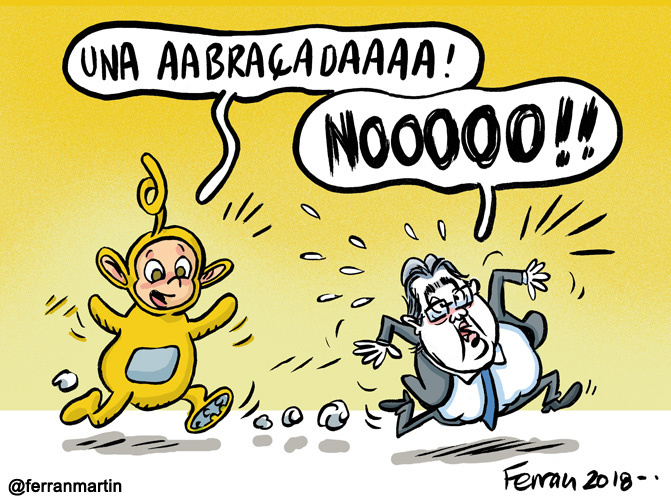 Al mismo tiempo, el rey recibe a Macrón. Pero en realidad es el majcén el que alienta las protestas con su injusticia, el que come de la mano del imperialismo francés, el que recibe ayuda militar del estado de Israel para oprimir a los saharauis o el que está apoyado por la corrupta y opresora monarquía saudí, amiga de Trump. De la misma forma, la represión y la falta de derechos en el Rif no son obstáculo para que el gobierno español continúe apoyando al régimen marroquí, como no lo han sido hasta ahora las décadas de vulneraciones e incumplimientos internacionales en el Sáhara. De hecho, el gobierno español es uno de los principales aliados de la monarquía marroquí, desde tiempos de Hassán II. No en balde, el norte de Marruecos se ha convertido en un espacio de deslocalización de muchas empresas españolas, que han trasladado a esta zona su producción, para aprovecharse de los bajos salarios y la falta de derechos sindicales. De la misma forma, el gobierno de Marruecos juega un papel fundamental en la vigilancia de la frontera sur europea y en el control de la inmigración a través del Estrecho, como gendarme al servicio de Europa, con constantes abusos y vulneraciones de los derechos humanos de su propia población y de los y las migrantes de otros paises. Un gobierno como el español, al servicio de las élites que se benefician de esta situación, no puede ser sino cómplice de la políticas del gobierno marroquí, en un contexto general y compartido de recorte de libertades y retroceso de derechos. Por ello, la solidaridad y la lucha conjunta con los trabajadores y trabajadoras del norte de África y del Rif en particular, son fundamentales para la mejora de las condiciones de vida de la clase trabajadora. 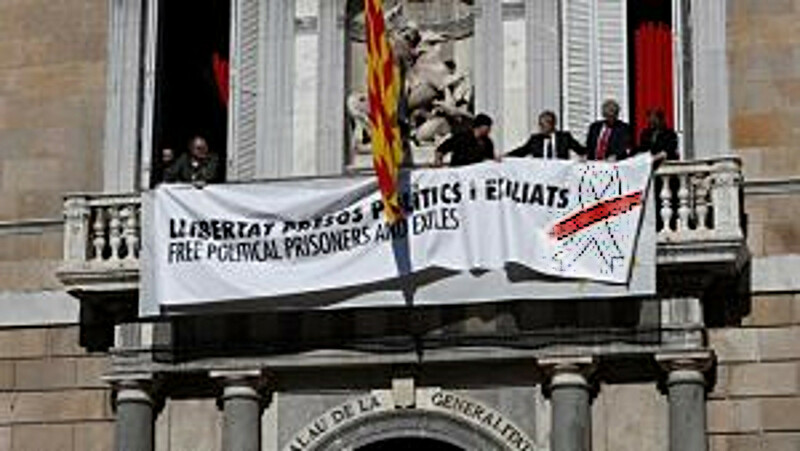 -Liberación inmediata de los detenidos por razones políticas. -Desmilitarización del Rif y libre ejercicio de los derechos de manifestación, reunión y libertad de expresión. “No tenemos ninguna fábrica, no tenemos hospital oncológico, a pesar de tener la mayor tasa de cáncer de todo Marruecos, por el uso de armas químicas que hizo España [Un estudio de 2015 mostraba que casi el 80% de los adultos y el 50% de los niños enfermos de cáncer atendidos en el hospital de oncología de Rabat procedían de la zona del Rif donde la aviación española bombardeó con gas mostaza entre 1924 y 1927 ]. -Construcción y equipamiento de hospitales,universidades y escuelas. Derecho a una sanidad y educación públicas de calidad y gratuitas. -Medidas sociales de reparto de la riqueza que permitan el fin de la miseria. Derecho a una vivienda y una vida dignas. -Fin de la corrupción y del entramado mafioso que gobierna el Magreb. -Respeto a la cultura y lengua rifeña. CNT ha apostado siempre por construir un mundo sin fronteras, en el que las personas no tengan que abandonar su tierra por la persecución política o la falta de trabajo y derechos sociales, que son de tod@s.
Por eso animamos a tod@s a dar el máximo apoyo posible a los compañeros y las compañeras del RIF, apoyando a los comites de solidaridad y asistiendo a todas las manifestaciones y concentraciones que se realicen por esta causa. 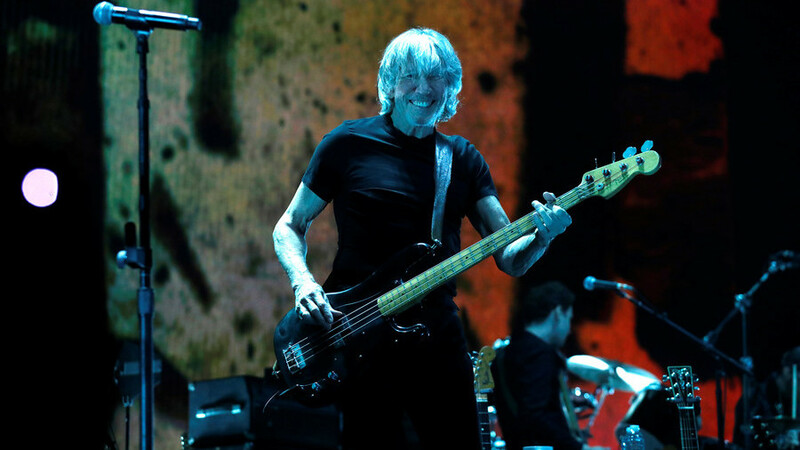 Roger Waters, the former Pink Floyd singer, has displayed a banner in support of WikiLeaks founder Julian Assange at a concert in Berlin. 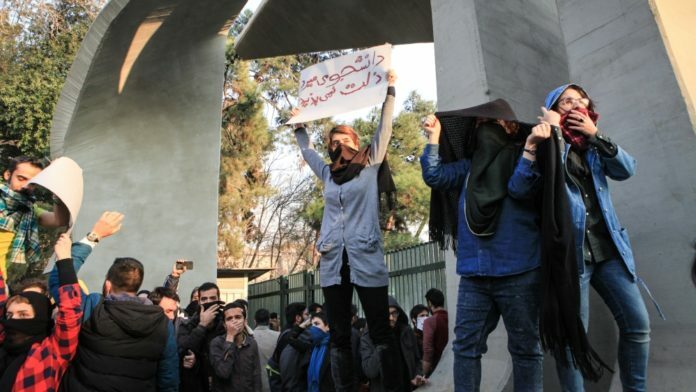 Local Activist on Iran protests: Bread. Jobs. Freedom. 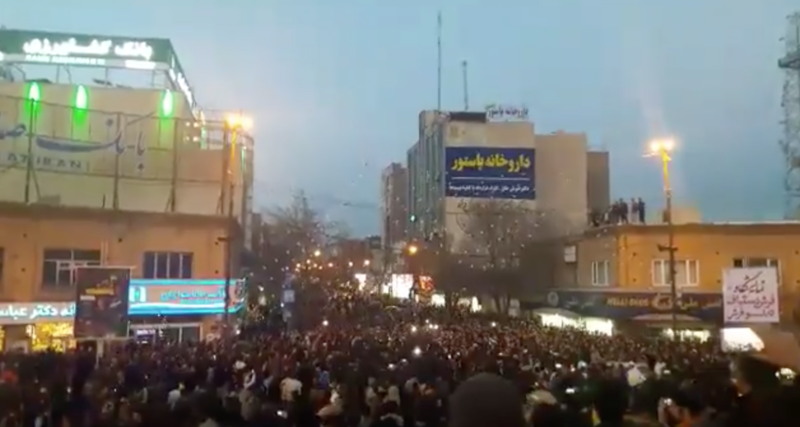 https://libcom.org/news/ We are publishing this dispatch direct from an activist in Iran, trying to make some sense of the current wave of protests. The situation is moving so quickly, and the protests sufficiently diffuse, that anyone claiming to know what will happen can be disregarded. The contribution we can make is to ask questions, to look at what has happened, is happening; and only from that speculate about what might happen in the future. We hope that more will contribute to this effort in the coming days and weeks. 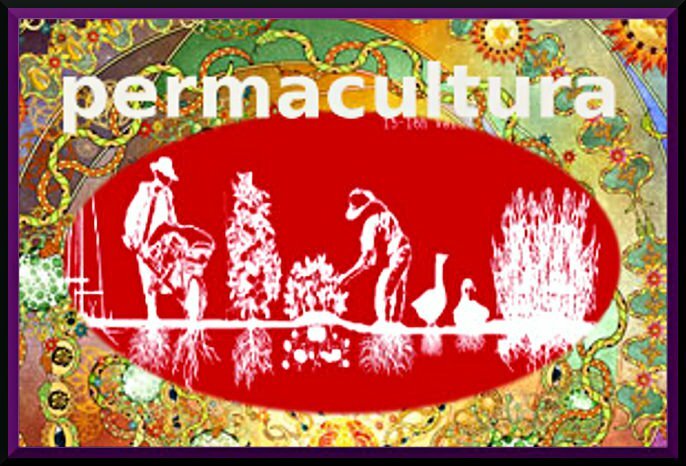 Author thefreeorgPosted on January 6, 2018 Categories anarchist, anti fascist, anti-nationalist, social revolution, solidarity, Stop State and Capitalist criminals, workersTags Iran, Iran Protests, repression, RevolutionLeave a comment on Local Activist on Iran protests: Bread. Jobs. Freedom. 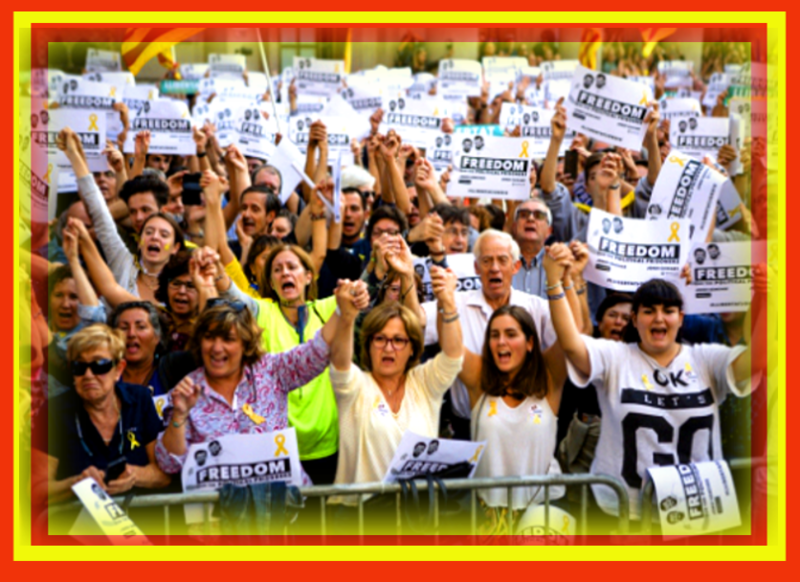 Update Update Update The General Strike in Catalunya called for Wed 8th Nov by small Intersindical-CSC trade union has been supported by the USTEC education union and the main Republican civil groups, Òmnium and ANC . 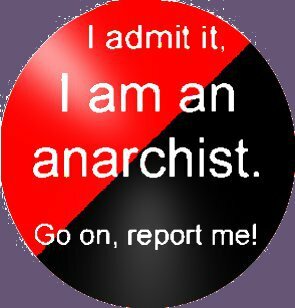 However the majority CCOO (ex comminist) and UGT (ex socialist) trade unions again came out against it and the anarchist CGT made a statement in favour but left it to their members to decide individually, arguing they haven’t time to consult them. 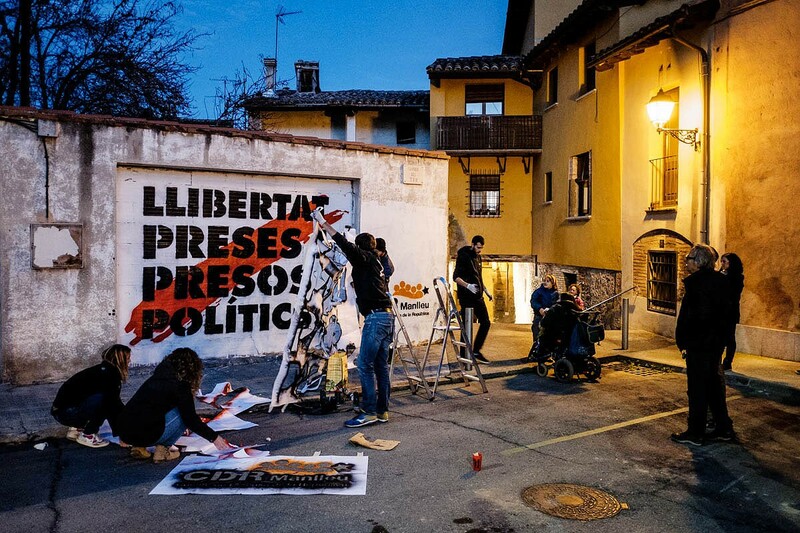 All schools and Universities and public offices will certainly close down as well as cities like Girona and LLeida which have a native Catalan majority. But the bosses organisation Foment de Treball have taken a High Court case to declare the General Strike Illegal. The neo-fascists in Madrid have been hiring fleets of coaches and even trains to bring in thousands of violent right wing ‘demonstrators’, as seen at last weekend’s huge demo openly led by thugs sporting swastikas, zieg heils and Francoist symbols. 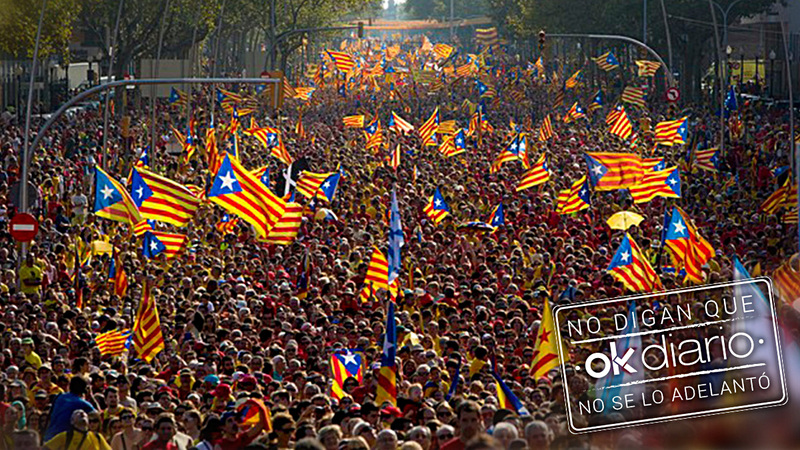 The insidious campaign is to split Catalan society down the middle. 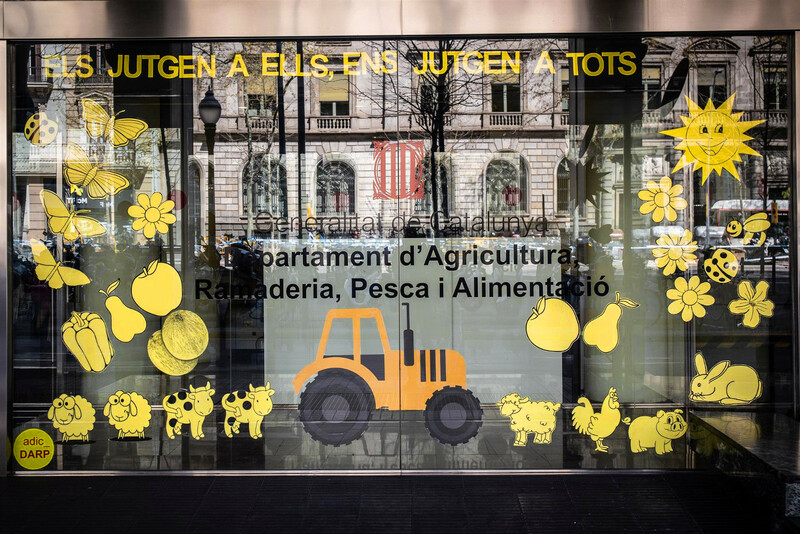 over 40% of the population are workers from Spain, most are well integrated over generations with families who consider themselves Catalan. Mixed marriages are common and normal with the 2 languages coexisting perfectly in their homes. Tension between the communities has been minimal (as in ex Yugoslavia before politicians whipped up xenophobia for personal power). 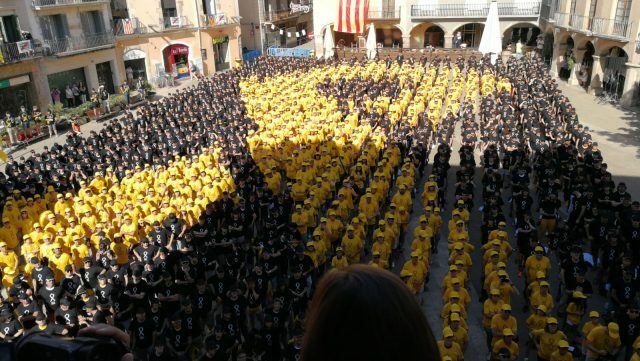 The anarchists too are divided, actively calling and sup`porting the 3rd Oct General Strike from an anti nationalist workers standpoint, but reluctant to continue if a nationalist civil conflict in Catalunya is provoked. 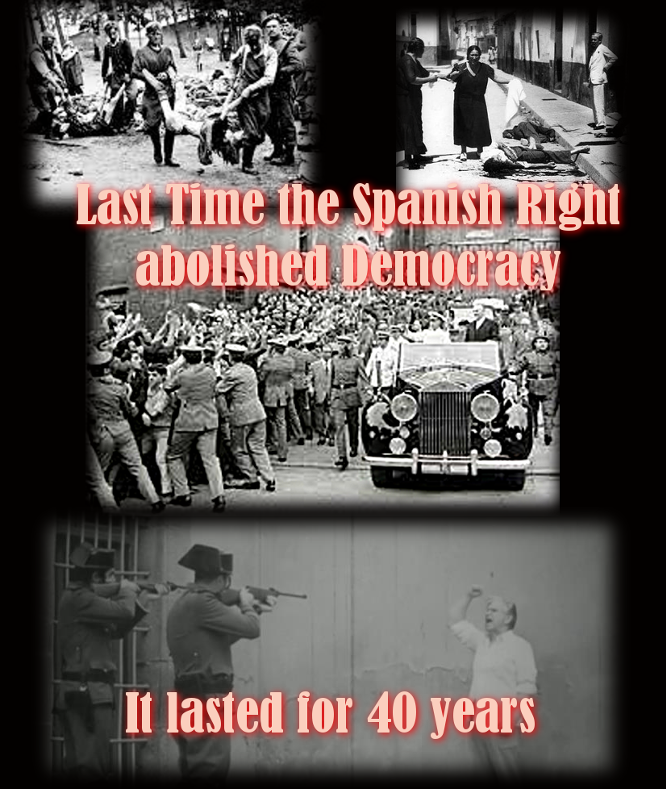 The Spanish nationalist media these days has become a torrent of anti Catalan hatred and outright lies. 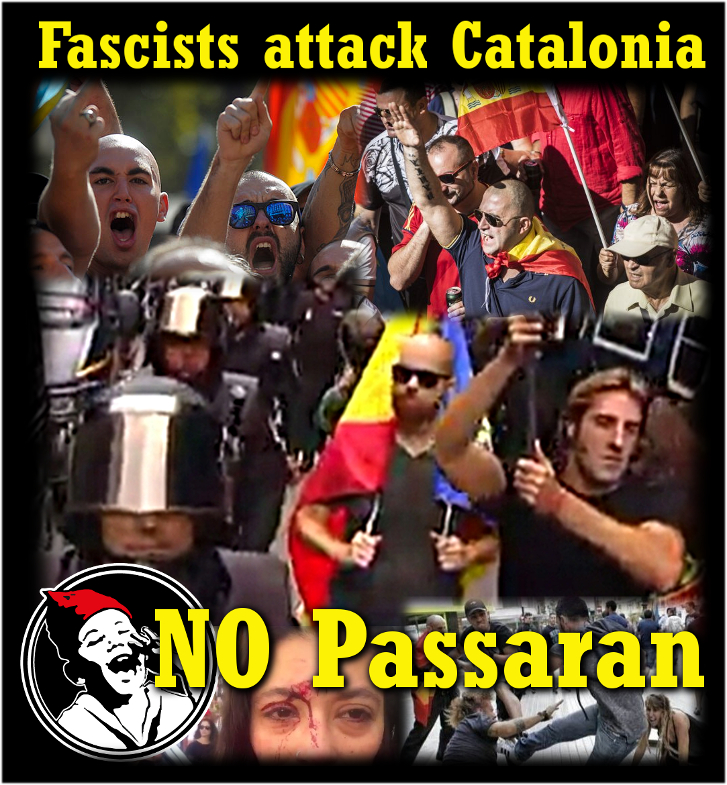 With an explosion of racist attacks the General Strike on Wednesday and the ‘Mega Demo’ on Sat 11th could finally break the self imposed pacifist stance of the Catalan republicans, which is what the State needs to justify mass criminalization of the majority democratic movement.